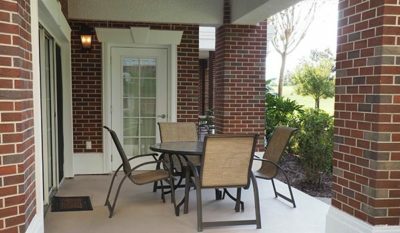 Home/Patio/How much does it cost to build a patio? You can make bringing the outside indoors a reality by screening in an existing patio or building an addition. 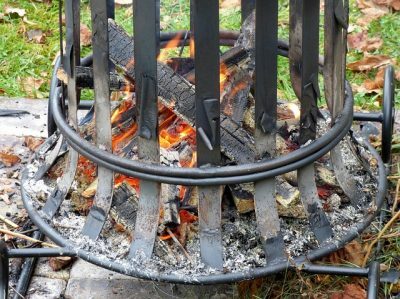 Of course, with any project of this scale, it is important to consider all your available options before getting started. This will also make the planning process more enjoyable. 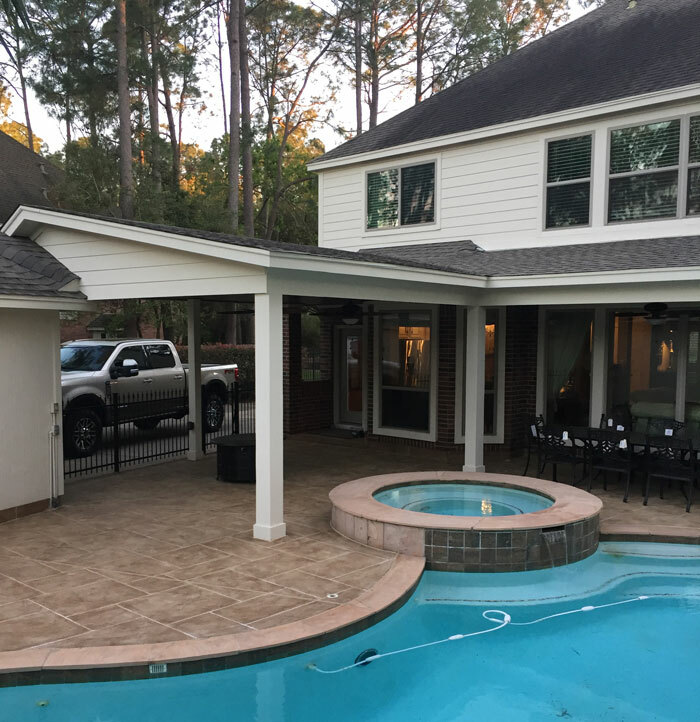 If you are considering this type of project, but aren’t certain how to get started, here’s a quick look at everything you need to know based on everything I learned while building my own patio addition. Before you go any further, take initial measurements, which is crucial for budgeting and determining what you can and cannot fit on your new patio. Then, head to the internet, as well as DIY and home design magazines, to gather ideas. 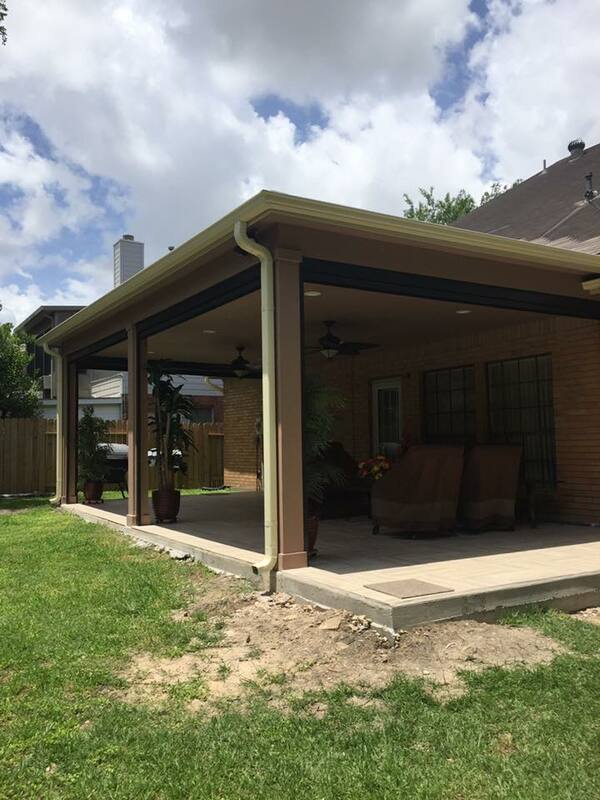 You’ll quickly learn that the possibilities are endless, running from a basic, concrete patio installed for around $2,000 up to a covered patio with overhead fan for anywhere from $5,000 to $7,000. Of course, you can go larger and more elaborate, which will send the price skyrocketing. Keep in mind that even on the lower end of the pricing scale, you’ll be getting a lot in return in terms of “livable” space. 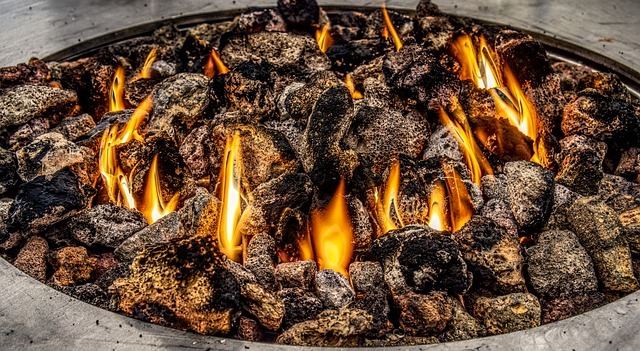 As you increase your budget, you can outfit your patio with a unique design, cooking space that includes a gas range and plumbing for food prep, a fire pit for roasting marshmallows, or a stone fireplace, which will create a relaxing ambiance. One of the biggest decisions will involve whether or not to screen it in. After all, this is a significant functional aspect. 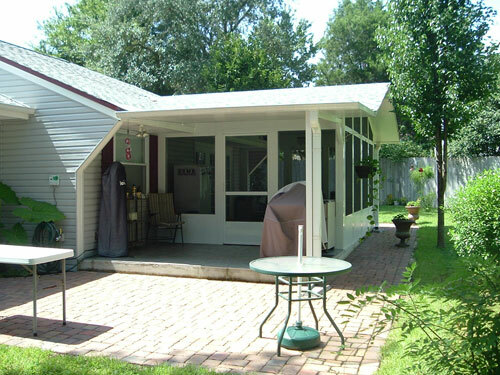 For example, a screened in patio allows you to sit comfortably outdoors without working about mosquitoes and other pests. 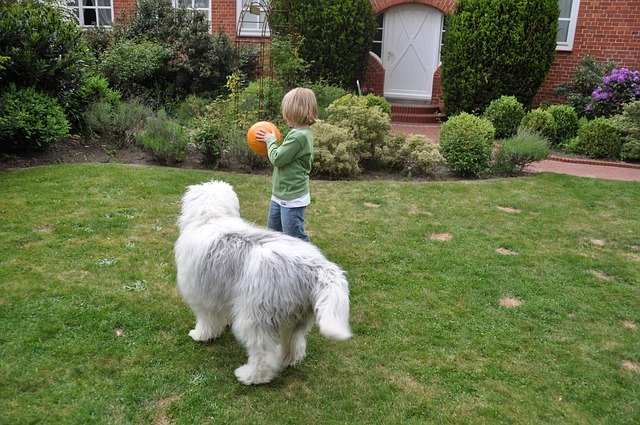 It is also safe for children and/ or pets to play in. 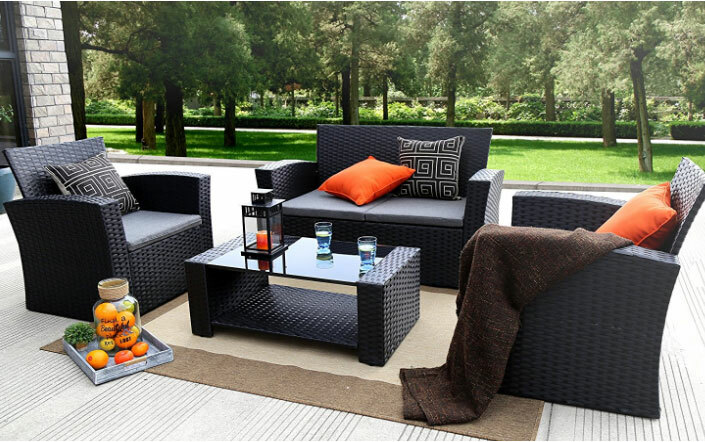 Thanks to the protection of the screen, it is better protected from the rain and wind, which gives you the option of using all different types of furniture and knickknacks on it. If you plan to do a lot of outdoor grilling, you should be aware that screened in porches/ patios are one of the leading areas for grill fires to start in the U.S. 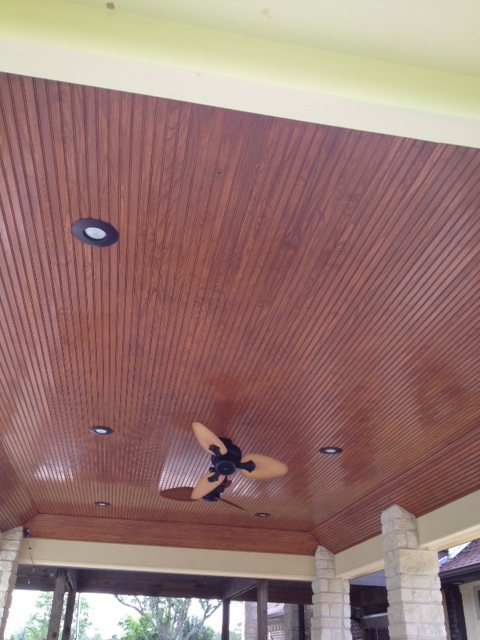 If you are screening in your patio, you’ll most likely have a ceiling. 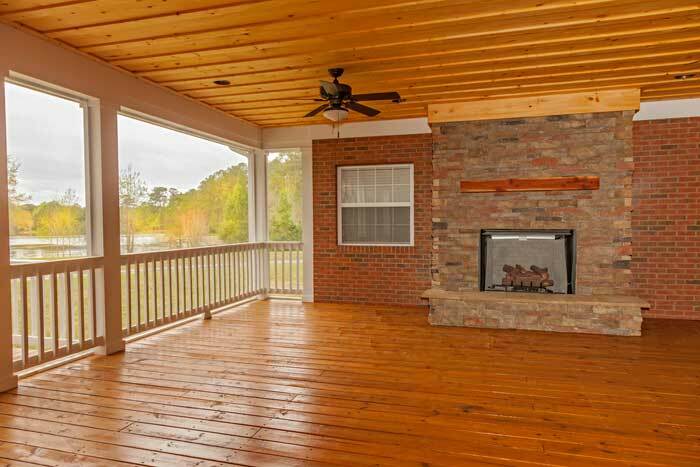 Even if you decide to leave the sides open, you may want to consider a ceiling for all the benefits it offers. 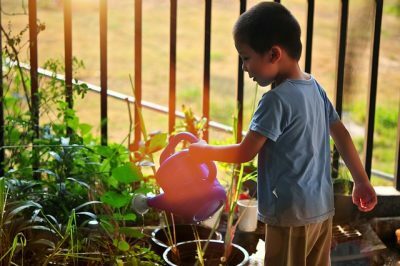 For example, it will give you and your furniture some protection from the rain, allow you to put up a ceiling fan to keep air circulating on a warm day, and protect you from the sun’s harsh rays. 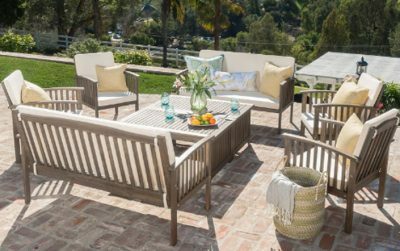 From L-shaped benches that hug the edges of your patio to built-in tables that ensure you always have a place to eat, a patio offers numerous opportunities for built-ins. Built-ins can save space, ensure your furniture never gets moved around in the wind, and tend to be well protected from the elements. In addition to chairs, which you can cover with bright cushions designed for the outdoors, you may want to consider a built-in table, planters that sit along the edge and allow for a gorgeous and seamless transition into the surrounding landscape, and storage boxes that can be covered with benches to double as seating during parties. Other built-in options include a kitchen, which can vary from a simple built-in grill and prep space to a true outdoor kitchen complete with grills, pizza oven, side burners, prep space, sink, a refrigerator and / or wine cooler, large island, and bar seating. 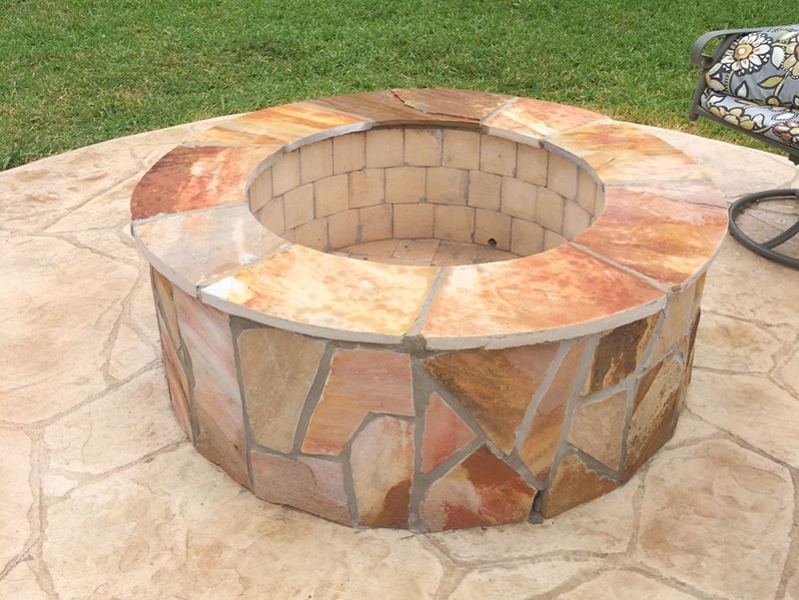 Built in fire pits and fireplaces made of bricks, stone, or rock are also a great option that will allow you to enjoy your patio year-round. To enjoy your new addition in the evening, you’ll need proper lighting. You may want to include built-in lighting, such as wall sconces, outside pennant lights, or an outdoor ceiling fan, into your planning or opt to hang strings of patio lights after it has been built. You can also choose patio lamps, lanterns, or even mason jars filled with candles after the fact. 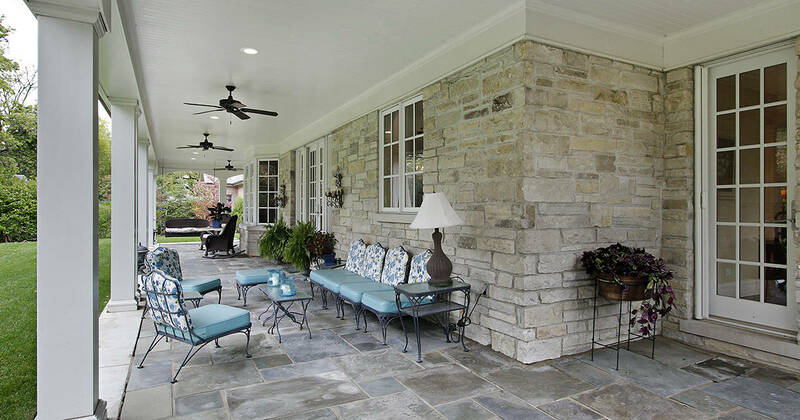 It goes without saying that the more you add to your patio, including screens, ceilings, built-ins, and lighting, the more it will cost to build. It’s up to you to decide if the cost is worth it. 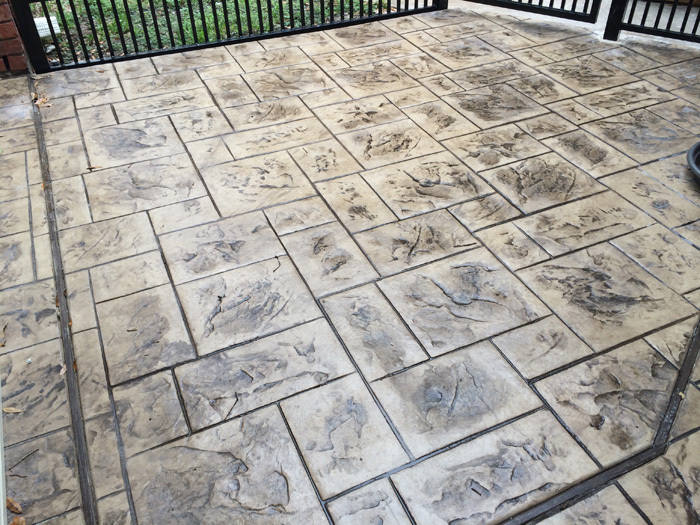 How Stamped Patios Are Made? How To Select The Perfect Patio Cover Type? 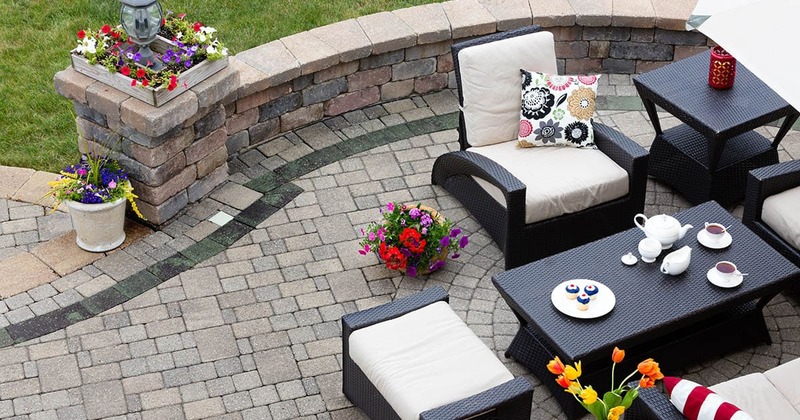 How To Design And Position Your Patio?